The element of line is an easy one. Start here…. As kid get older art can be intimidating. 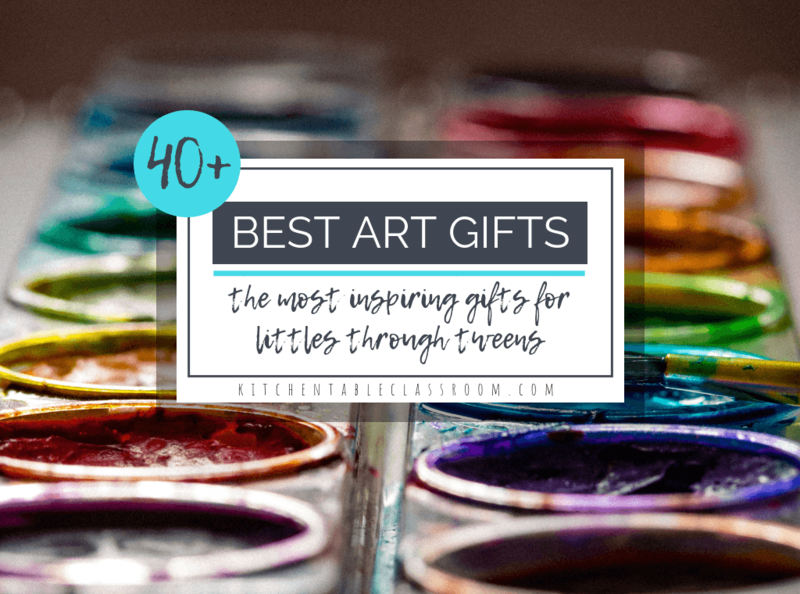 Making art can be something that makes kids clam up with an instant “I can’t.” I love introducing the elements of art to kids because it gives them an easy place to start. Everyone can draw a line, then another line, then a different kind of line. Before they know it they are making all kinds of marks; which is a great beginning to making art! After being able to draw lines comes the next best thing about introducing line in art. And that’s being able to talk about art. Being able to identify a single element like line or color gives kids of any age a place to start when they look at art! Books about types of lines in art…. As always art and children literature are an easy connection for me. Look! Drawing the Line in Art by Gillian Wolfe is a great resource for older elementary through middle school. I love that it uses famous works of art and points out how the element of line is used. It’s a great book to spark a discussion even if you don’t read it word for word! 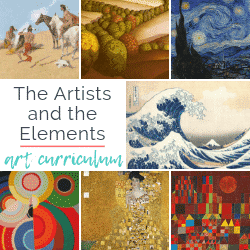 Check out this list of books about all the elements of art for more easy ways to teach about the elements of art! Making different types of lines……. After reading this and chatting for a bit to get some ideas generating we moved on to this little handout. This handout will eventually be a part of a book for my older elementary homeschool co-op art class. 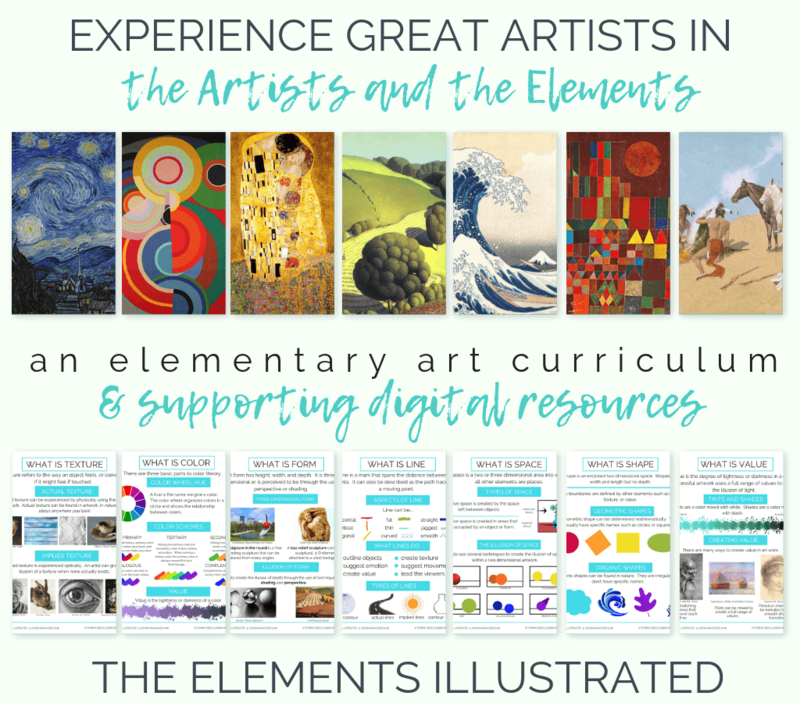 We’re working our way through the elements of art one class at a time! 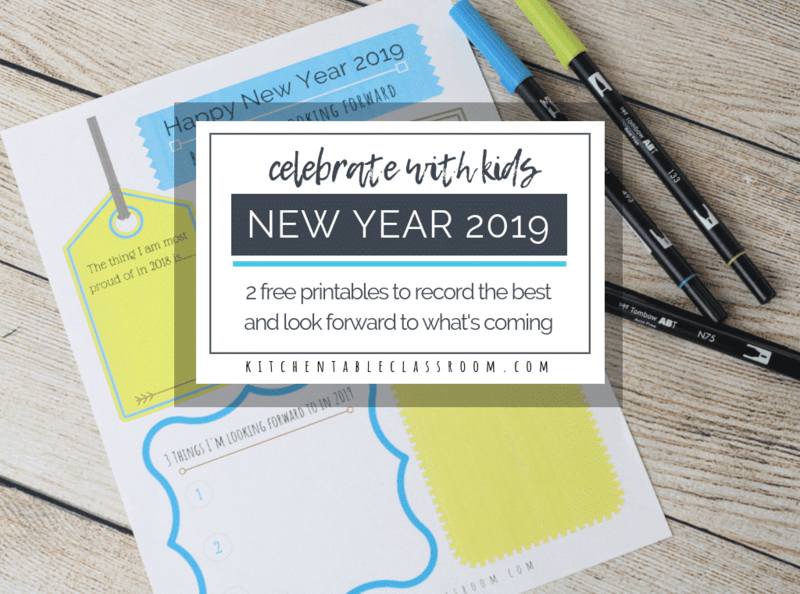 See this post for a run down on all the free element of art printables! I like to hand out this line printable out without students seeing an example done by me or anyone else. Ideally kids will have some space around them so their ideas are their own! If they cannot see their neighbors work it’s amazing to see how many different types of lines kids can come up with just given the directions to make lines with Sharpies! 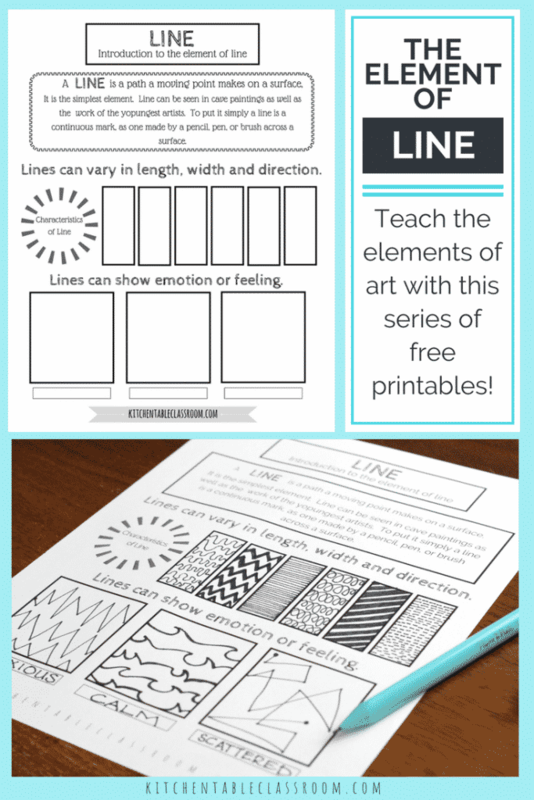 Subscribe below to get this free printable to teach about the different types of lines in art! Upon confirming your subscription you will receive a subscribers only password. This password will give you access to my Free Resource Library. This element of line printable as well as dozens of other printable resources are all there in PDF from, just for my subscribers. 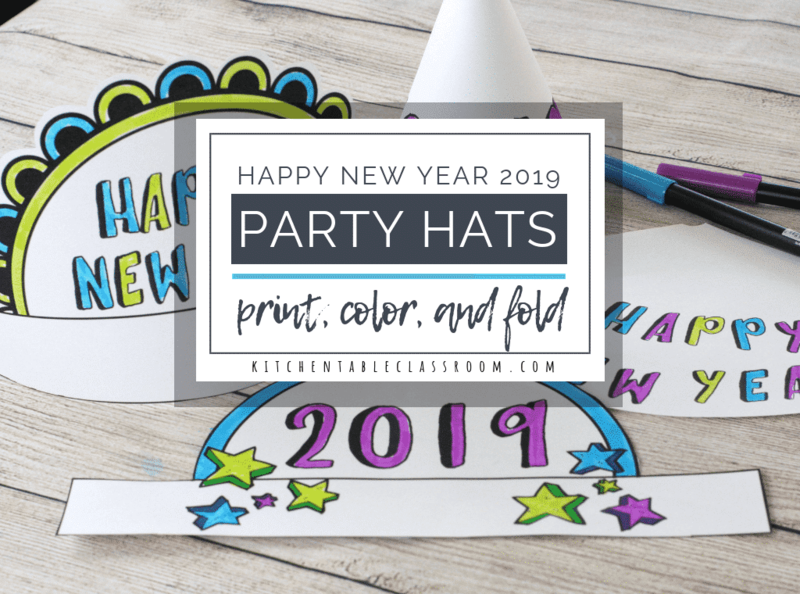 You’ll also be subscribing for my weekly newsletter to get all my newest fun projects and printable resources. No spam. Promise. I like to use only black Sharpies in this exercise so the element of line is really isolated! (If you’re worried about the markers bleeding through try these pens!) Using only black marks forces students to look at the differences in the quality and characteristics of the lines they make, not color. Lines can vary in length, width, and direction. Start with discussing and making lines that vary in length, width, and direction. This is a concrete idea that is easy for kids to grasp. If you have reproductions available this is a great place to point out how these different types of lines in art are evident in great artwork. You don’t have to get fancy here. Show your kids a piece of artwork and talk about what they see or don’t see. If you’re looking for great places to see art check out this list of museums with great virtual tours. You can discuss art from the couch! Uses of lines in art…..
Why do artists use all these different types of lines in art? Besides using lines to direct the viewer’s attention or suggest a shape, pattern, or form lines can have an emotional impact in an an artwork. Introduce the idea that lines can illustrate feelings. This is a more abstract idea. It can help the kids to get this if you can let loose and be silly a bit. 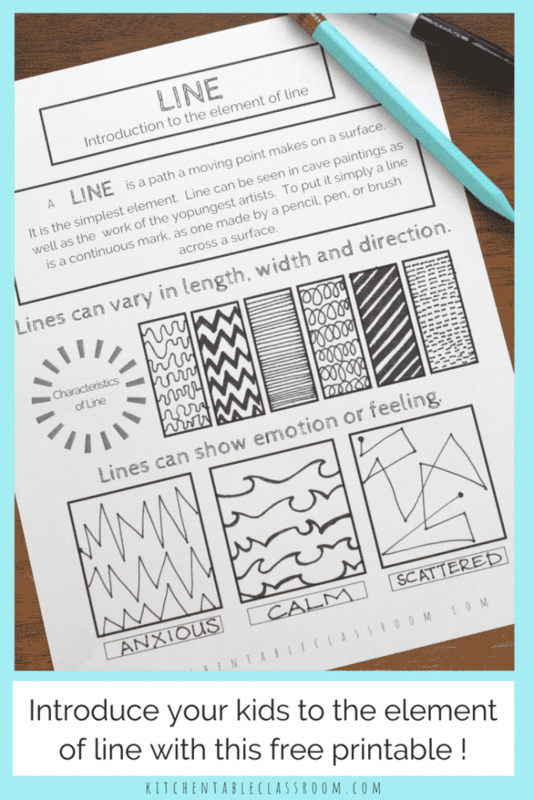 Creating lines with feeling can be fun to demonstrate on a large surface like a roll of paper, a chalkboard, or a large whiteboard! If your kids feel comfortable it’s fun to do a little show and tell and take a look at all the types of lines that the kids came up with! 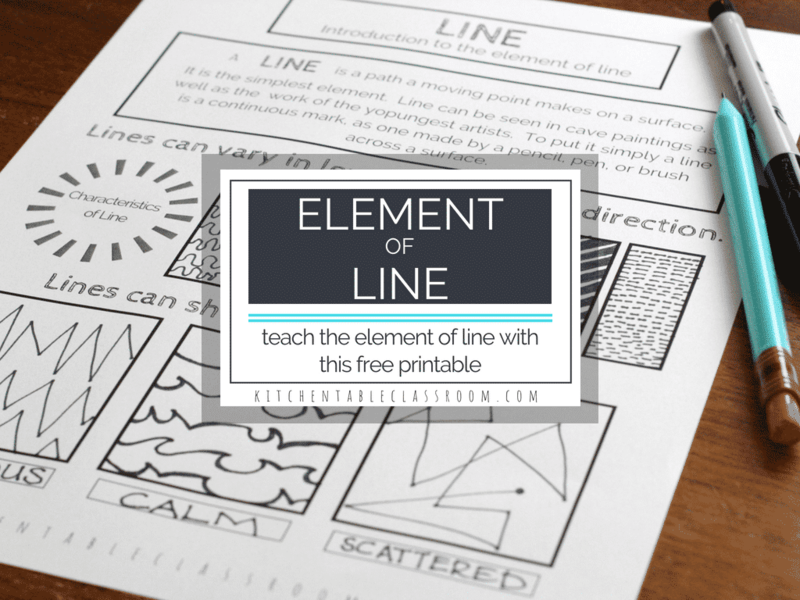 Check out this post for more printable resources and hands on ways to explore the element of line with your students! 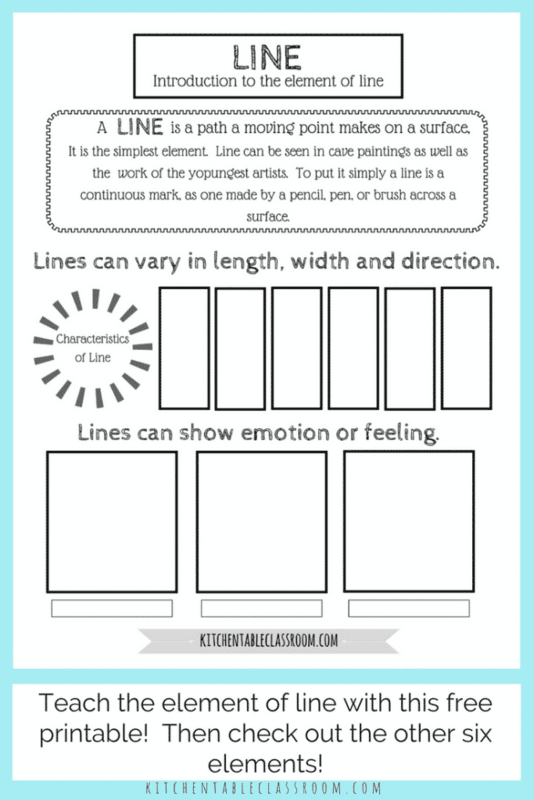 If you enjoyed using this resource to teach about the different types of lines in art then please share it! 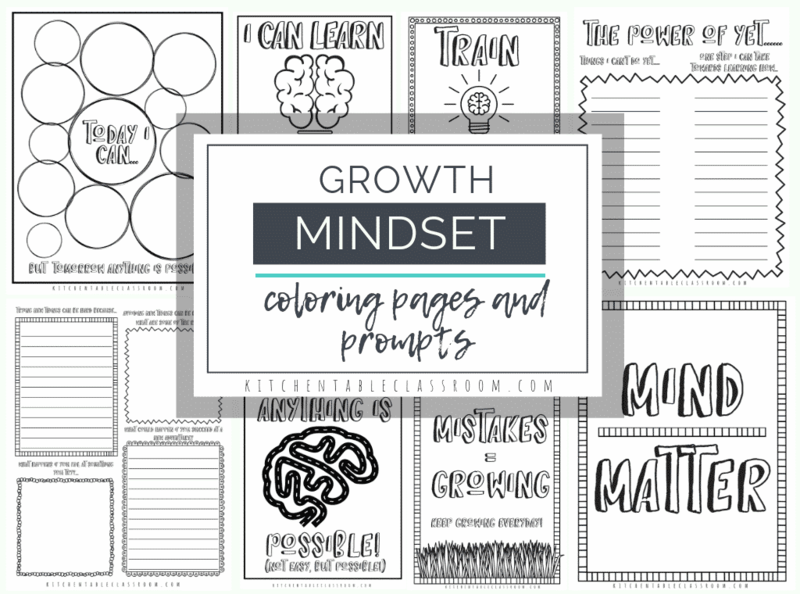 Every share helps me to bring you more printable resources (for free!) and fun projects! I love how you use books to teach Jodi! Thanks so much for linking up at #familyfriday we appreciate it! We hope you come back next week. 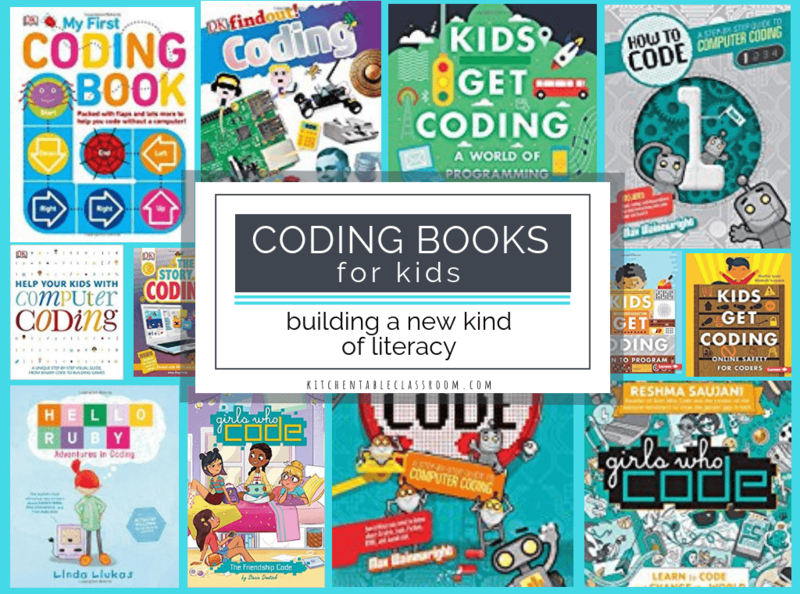 There are so many kids books out there! It’s fun to incorporate them! There is a treasure trove of information here. You have done an amazing job. Your students are very lucky to be taught by someone who is so talented and generous. More students will benefit, more than you will ever know. Thanks so much Suzanne! I hope you found some things you could use too! !